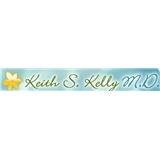 Keith S. Kelly, MD MBA (Fort Washington) - Book Appointment Online! We provide a full spectrum of Gyn services. Our office takes great pride in taking the stress out of your your female health visit. During your appointment you will first speak with Dr. Kelly. During this time he will take a full history from you and LISTEN to whatever concerns or issues that you may have. You will then have an escorted examination. Many patients describe our exams as QUICK, PAINLESS and COMPLETE. Once dressed, Dr. Kelly will sit with you and discuss any findings and review any questions that you may have. I would highly recommend Dr. Kelly. He was very professional!